Arc System Works and Bandai Namco are adding another Goku variant to the Dragon Ball FighterZ roster. This information comes from the latest monthly issue of Japanese manga magazine V-Jump. Is this a character you were hoping for? Have you purchased any Dragon Ball FighterZ character DLC? Tell us down below. How many different versions of Goku are in the game now? Surely there are other characters that could be added. Yes, nitpicking, I know. On a side note; I'm in quite sure I am in the minority but I liked GT a lot more than Super. Probably because I was a lot younger when GT aired but Super just struck me as a lot more childish than any other Dragon Ball content. Although I am glad that, unlike what Disney did with Star Wars, Dragon Ball still does things with content they have cut from their canon. Yes, another Goku is exactly what the game needed. 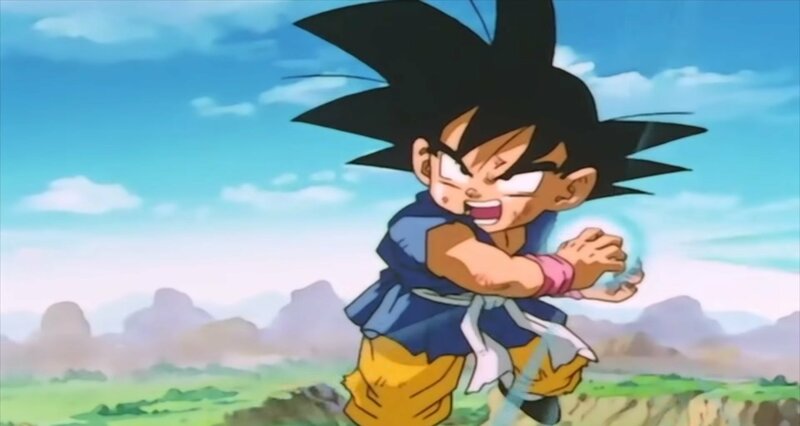 I don't hate Dragon Ball GT but I rather take Dragon Ball version of Kid Goku over this GT one. A kid version of Goku, by any means, is true "welp I guess I'll buy the game now" material. I'll oblige as soon as my current economical stasis ends, or as soon as there's a decent enough sale - whichever comes first. I'm sad we're not getting OG Kid Goku, this game really should have added more OG Dragonball characters, Like Grandpa Gohan or Demon King Piccolo. I'd assume this is just so they have more moveset options, but it really is odd to go with this over OG kid Goku. It is sorta weird that they picked GT's Kid Goku, i know Goku is supposed to be the star of the show, but why pick that version and not the original Dragon Ball Goku? It's weird that they picked GT Kid Goku when they have admitted GT isn't cannon. @Heavyarms55 I actually quite liked Dragonball GT too! Some of the episodes were so funny! @patbacknitro18 Jackie Chun would also be a good choice. Wonder if he can go to SSJ4. With 6 different Gokus now able to fight each other in 3v3 combat, the DB FighterZ roster is finally complete. 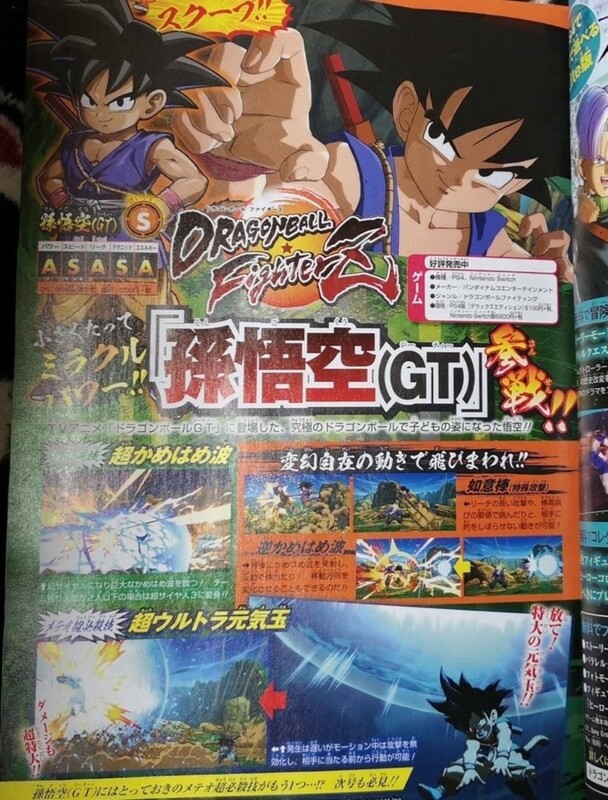 I guess GT Goku isn't the worst thing in the world but I seriously don't want a slew of GT content such as SS4 Goku and Vegeta, Baby or Super 17. Omega Shenron and Kid Goku would be enough... Id prefer Uub to be added from the end of Z rather than Majuub too.. But I echo some others here that OG Dragonball always seems to get shafted. Jackie Chun (Roshi in General) Demon King Piccolo, General Tao, etc would be really good fighters with unique movesets as they come from a time before the insane flashy moves of the later arcs. Shouldn't all of the dlc characters be in the game already? @Abes3 the entire game is non-canon. And they even brought in OG Movie-Broly and not DB Super Broly. The series has a massive cataloge of charatcers. Mr. Satan would be my top pick! @Heavyarms55 I honestly believe GT and Super are both canon, but exist in different time lines. GT takes place in a timeline where Beerus never woke up and came to earth seeking the Super Saiyan God, thus preventing Super's events from happening. Super takes place in the timeline where Beerus did come to Earth, leading to the events of Super. So, my belief is that GT and Super both are canon, the divergence is if Beerus woke up or not. @Caryslan It was already mention by the artist of Chrono Trigger, Dragon Quest, Blue Dragon, Tobal, and Go Go Ackman that the entirety of Dragon Ball Super took place after the defeat of Kid Buu but before the debut of Uub when Goku fought him at the 28th World Martial Arts Tournament which is why Pan and Bulla are still infants. He never said GT was canon but didn't bury the series either as most of the characters that debut during GT were still part of the series, only thing is they never appeared in the manga as Toriyama himself did not continue Dragon Ball after DBZ due to him working on other projects at the time and taking care of personal stuff. Even though the manga stopped, fans still love the anime therefore Toei created GT to cater to those still following the series. That doesn’t look like Janemba to me. Try again guys and no more Gokus for crying out loud. It really is just DragonBall GokuZ now. Can we finish the Dragon Ball Origins series from DS or get a reboot? Those games were good. 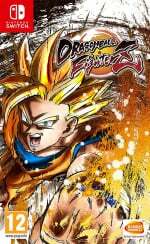 @SCAssassin Actually I believe that SSJB Gogeta and Super Broly have been confirmed as DLC characters a while back, but have yet to be released. Still the game is very non-canon. @retro_player_22 Actually Dragonball GT has been made non-canon since the very start of Dragonball Super. The very existence of the Super Saiyan God form, let alone SSJB or Ultra Instinct pretty much destroys any chance GT has of being canon. Some characters like Uub, Pan, and Bulla are in Dragonball Super, but chances are Toriyama is pulling a Dragonball Super Broly and is going to rewrite the character's story if there ever is a time skip. @bluemujika Any version of Roshi would be fantastic. Though i'd love to see the interaction between Jackie Chun and DBS Goku since I don't think he ever found out that Roshi was him all along lol. @Caryslan Huh. Well Dragon Ball already did have established different timelines so I suppose that would fit. @Lizuka Basically my thoughts exactly. Did not even think of this. I'm...OK with it, but as a huge fan of OG Dragon Ball, I thought kid Goku was a possibility, same with Master Roshi.